Jazz Station - Arnaldo DeSouteiro's Blog (Jazz, Bossa & Beyond): "Martin Luther King Day Concert" featuring Les McCann & Liz Hartley in January! 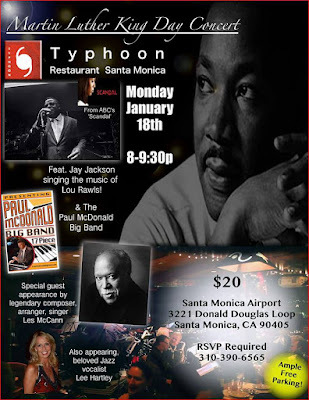 "Martin Luther King Day Concert" featuring Les McCann & Liz Hartley in January! 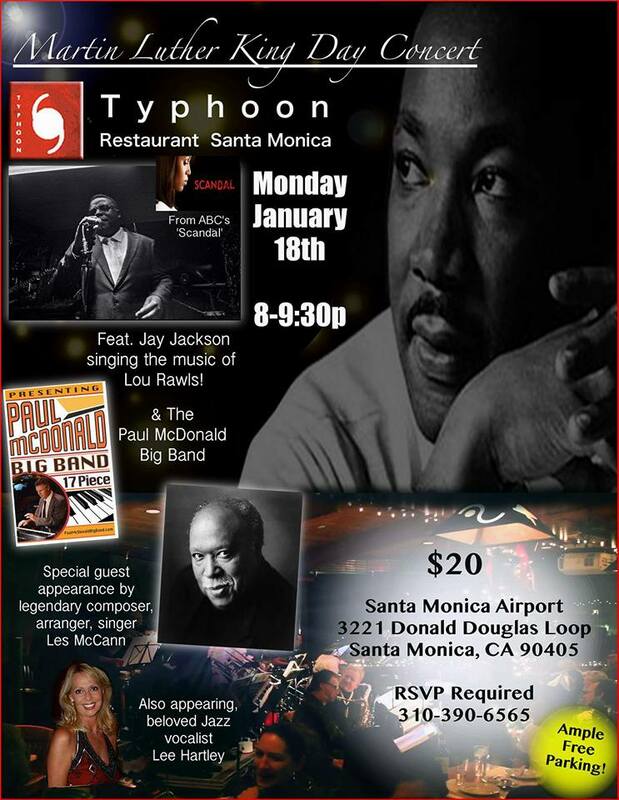 On January 18th, 2016 there will be a very special Tribute to Lou Rawls on Martin Luther King Day @ Typhoon Santa Monica. Featuring legendary keyboardist Les McCann (God knows how much I love his "Road Warriors" album with Houston Person for CTI! ), vocalists Lee Hartley and Jay Jackson plus Paul McDonald's Big Band. Be There or Be Square!